When it comes to cooking with mincemeat, your creativity doesn’t have to be limited to spaghetti bolognese. Satisfying, versatile and a great standby choice to have in the freezer, mincemeat has more potential than it’s often given credit for. 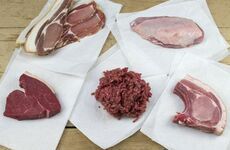 Often referring to beef, mincemeat is simply meat that has been cut up into small pieces, typically with a machine. So to broaden your cooking ideas, here’s six different ways to use mincemeat! A favourite for those who enjoy Italian food, lasagne is a dish that consists of pasta layers, a white sauce and a bolognese filling with mincemeat. This is a heartwarming dish that is perfect for any time of year and for the whole family. A tasty Mexican dish, chilli con carne is a great choice for family and friends get-togethers that can be easily served. Consisting of meat, chili peppers, tomatoes and beans, the dish is a classic that always goes down well when you’re hosting dinner. Another traditional Mexican dish, tacos can be loaded with meat, cheese and a splash of salsa to make a tasty meal when served with fajitas or nachos. A taco is a corn or wheat tortilla that can be folded or rolled with a filling. Cottage pie will always be a family favourite and is sure to leave you feeling satisfied on a cold winter’s evening. It consists of mincemeat, vegetables and is topped with mash potato and sometimes melted cheese. 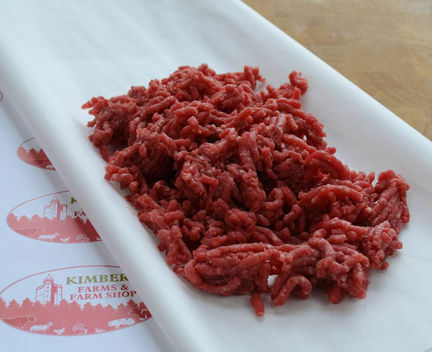 Alternatively, lamb mince is used to make Shepherd’s pie! Meatballs make a great choice to have with a variety of pasta dishes and can be cooked with other ingredients including bread crumbs, onions, eggs and seasonings. Consisting of minced meat rolled into a small ball, meatballs can be cooked in a number of ways including frying and baking. Nothing can quite beat a homemade burger made with succulent beef! 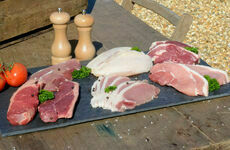 A perfect barbecue choice or homemade treat throughout the year, they can be enjoyed with oven chips or a tasty salad. With these great cooking ideas, there’s no reason why you can’t make the most out of your mincemeat! 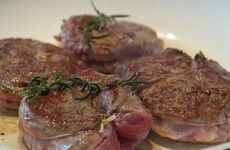 It doesn’t just have to be beef either as we have veal, mutton and lamb to choose from in our selection here.